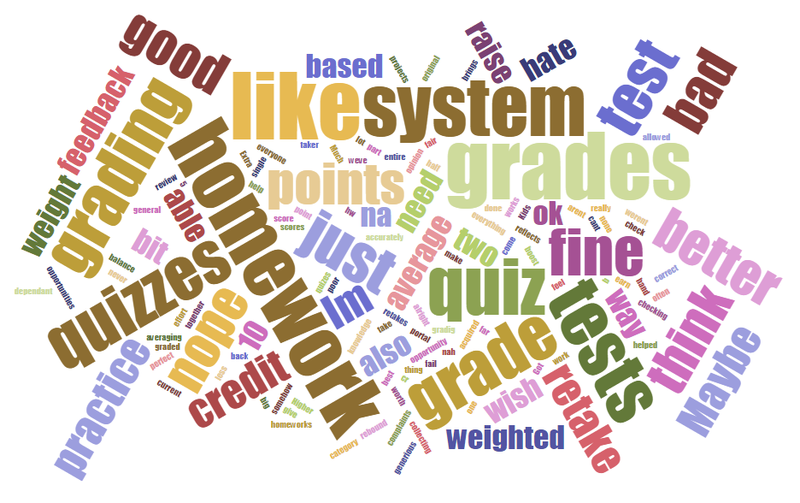 Grading System Feedback. Got any? A lot of responses asking for more homework grades to boost the overall grade (this doesn’t make sense as homework is a department required % and wouldn’t matter if I checked it once or 100 times). I’ve explained this many times before. No luck. Sigh. Grade is way too big of a motivator, and it’s been worse this year. Working on it.